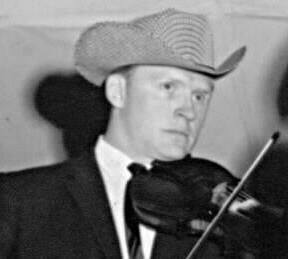 As a Blue Grass Boy: Byron Berline first met Bill Monroe in 1965 and was offered a job then. It wasn't until 1967 that he actually joined the band, though, replacing Richard Greene in March and leaving to go into the Army in September. He recorded three instrumentals with the Blue Grass Boys, including "Gold Rush" which he cowrote with Monroe, and which has become a jam session standard. Before and After: Byron Berline has recorded and performed as a solo artist and with groups including the Flying Burrito Brothers, Sundance, and Berline, Crary and Hickman (later renamed California). His 1995 album "Fiddle and a Song" marked the first time Bill Monroe and Earl Scruggs had recorded together since 1947. In addition to performing, he now runs the Double Stop, a music shop and performance venue, in Guthrie, Oklahoma.